26 Only the self-accused condemn. As you prepare to make a choice that will result in different outcomes, there is first one thing that must be overlearned. It must become a habit of response so typical of everything you do that it becomes your first response to all temptation and to every situation that occurs. Learn this and learn it well, for it is here delay of happiness is shortened by a span of time you cannot realize. You never hate your brother for his sins, but only for your own. Whatever form his sins appear to take, it but obscures the fact that you believe them to be yours and therefore meriting a "just" attack. 27 Why should his sins be sins if you did not believe they could not be forgiven in you? Why are they real in him if you did not believe that they are your reality? And why do you attack them everywhere, except you hate yourself? Are you a sin? You answer "yes" whenever you attack, for by attack do you assert that you are guilty and must give as you deserve. And what can you deserve but what you are ? If you did not believe that you deserved attack, it never would occur to you to give attack to anyone at all. Why should you? What would be the gain to you? What could the outcome be that you would want ? And how could murder bring you benefit? 28 Sins are in bodies. They are not perceived in minds. They are not seen as purposes but actions. Bodies act, and minds do not. And therefore must the body be at fault for what it does. It is not seen to be a passive thing, obeying your commands and doing nothing of itself at all. If you are sin you are a body, for the mind acts not. And purpose must be in the body, not the mind. The body must act on its own and motivate itself. If you are sin, you lock the mind within the body, and you give its purpose to its prison-house, which acts instead of it. A jailer does not follow orders, but enforces orders on the prisoner. 29 Yet is the body prisoner and not the mind. The body thinks no thoughts. It has no power to learn, to pardon, nor enslave. It gives no orders that the mind need serve nor sets conditions that it must obey. It holds in prison but the willing mind that would abide in it. It sickens at the bidding of the mind that would become its prisoner. And it grows old and dies because that mind is sick within itself. Learning is all that causes change. And so the body, where no learning can occur, could never change unless the mind preferred the body change in its appearances to suit the purpose given by the mind. For it can learn, and there is all change made. 30 The mind that thinks it is a sin has but one purpose—that the body be the source of sin and keep it in the prison-house it chose and guard and hold itself at bay, a sleeping prisoner to the snarling dogs of hate and evil, sickness and attack, of pain and age, of grief and suffering. Here are the thoughts of sacrifice preserved, for here guilt rules and orders that the world be like itself—a place where nothing can find mercy or survive the ravages of fear except in murder and in death. For here are you made sin, and sin cannot abide the joyous and the free, for they are enemies which sin must kill. In death is sin preserved, and those who think that they are sin must die for what they think they are. 31 Let us be glad that you will see what you believe, and that it has been given you to change what you believe. The body will but follow. It can never lead you where you would not be. It does not guard your sleep nor interfere with your awakening. Release your body from imprisonment, and you will see no one as prisoner to what you have escaped. You will not want to hold in guilt your chosen enemies nor keep in chains to the illusion of a changing love the ones you think are friends. 32 The innocent release in gratitude for their release. And what they see upholds their freedom from imprisonment and death. Open your mind to change, and there will be no ancient penalty exacted from your brother or yourself. For God has said there is no sacrifice that can be asked; there is no sacrifice that can be made. 1 I am not asked to take salvation on the basis of an unsupported faith. For God has promised He will hear my call and answer me Himself. Let me but learn from my experience that this is true, and faith in Him must surely come to me. This is the faith that will endure and take me farther and still farther on the road that leads to Him. For thus I will be sure that He has not abandoned me and loves me still, awaiting but my call to give me all the help I need to come to Him. 2 Father, I thank You that Your promises will never fail in my experience if I but test them out. Let me attempt therefore to try them and to judge them not. Your Word is one with You. You give the means whereby conviction comes, and surety of Your abiding Love is gained at last. Jesus says, "We have attacked God's plan for salvation without waiting to hear what it is." (W.72.10.10) Well, we might ask: How did we do that? Jesus says, "We have shouted our grievances so loudly that we have not listened to His Voice." 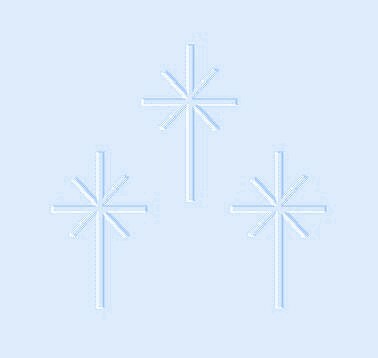 (W.72.10.11) He says, "We have used our grievances to close our eyes and stop our ears." (W.72.10.12) While we have done all this, Jesus assures us that despite the fact we still do listen to the ego and express grievances, nevertheless we have heard and answered the Call of the Holy Spirit. The fact that we can decide to release our grievances anytime we choose gives the mind amazing power of decision. Yet we may question, why am I holding onto any grievance in this moment? What do I get to be right about? It is encouraging to read, "I am not asked to take salvation on the basis of an unsupported faith." (W.327.1.1) That idea serves us well. He invites us to test out what he tells us. We learn that this is the truth through our own experience, and with each experience, our trust and faith grows. That is so reassuring and, in my experience, so very true. The more I get out of the way and listen to His answers, without setting limitations on what I need or what I think my problem is, the more I have found that His answers have always shown me that my trust in Him is warranted. Yes, doubts come up when new situations arise, and the temptation is to go back to the ego for the answers, but as trust grows so does my confidence in Him. Some time ago, I was facing a situation of having to find my way through a maze of long-term care arrangements for my mother in a system that is highly bureaucratic and has a limited supply of open beds. I faced the possibility of her having to go into a difficult transitional situation until a bed could be found. The hospital wanted her out as soon as possible. Fear came up in my mind on how I could possibly address this situation. When this happens, there is always an inclination to rush about, finding answers. Yet I find, when I refuse to allow ego thoughts to take over my mind, with the recognition that no answers are possible in a state of conflict, I allow the fear thoughts to be released, ask for help to maintain a state of peace, and then immediately there is a knowing and deep trust that all would be well. In the end, everything turned out miraculously. I had put my trust in the Holy Spirit and felt His support. I actively refused to listen to the ego that kept nattering in the background. Everything truly does work together for good and if it is not yet good, it is not the end as we learn in the marvelous movie, The Best Exotic Marigold Hotel . Purification of ego thoughts is necessary for miracles to be experienced. 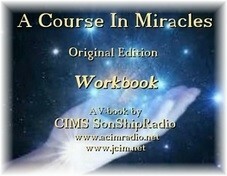 "Miracles arise from a miraculous state of mind, or a state of miracle-readiness." (T.1.I.43.1) (ACIM OE T.1.I.71) It is not that we don’t act in circumstances that arise, but we stay attentive to Him to guide our actions. Then He can send us on our busy doings from a quiet state of mind. "This quiet center, in which you do nothing, will remain with you, giving you rest in the midst of every busy doing on which you are sent." 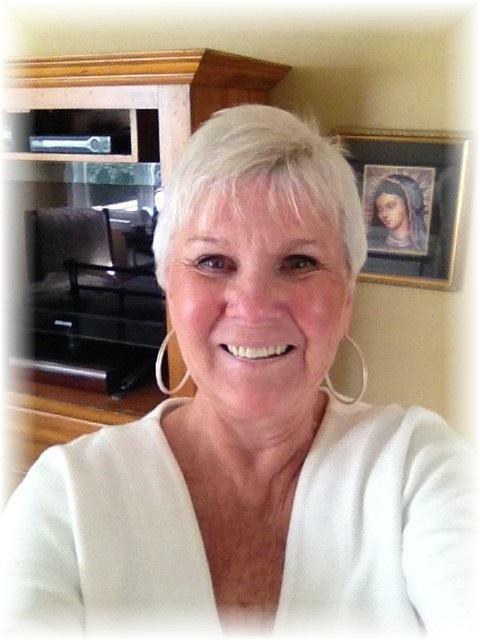 (T.18.VII.8.3) (ACIM OE T.18.VIII.70) "And now in all your doings be you blessed." 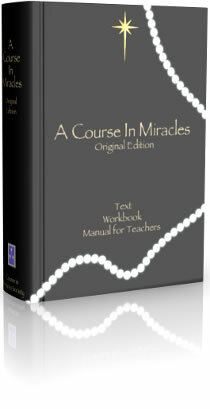 (Manual for Teachers.29.8.1) It is about choosing which guide we follow in each moment---the ego or the Holy Spirit. This path is not one of blind faith where we are asked to give our loyalty and our allegiance blindly to God, hoping that one day He will reward us for our faith. He invites us to test Him, and when we do, we get to experience the benefits of turning to Him. When we look at our lives as a result of our application of these teachings, we can see our peace has increased. Our relationships have been transformed through forgiveness. We have met challenges with more grace and trust, and we have had examples of guidance in situations where we have stepped back and let Him lead the way with happy results. Our minds have shifted with more ease, openness, and trust. Challenges don't go away, but we are ready for them, feeling stronger and more confident with actual evidence that we are supported. I have increasingly become a happier learner. I’m more motivated to do the work of watching my mind and of taking responsibility for my thoughts. We have experienced miracles, but we don't always recognize them, or we may even deny the evidence. The ego will deny our experience, question it, dismiss it, or judge it as just a coincidence or a fluke. Part of the process, in my opinion, is simply to take notice. Stay aware of the events and symbols around you and be grateful for them all. This Lesson invites us not to judge the answers we receive when we ask. In other words, we need to trust that the answer we get is exactly what we need. It may not always be apparent that this is so, especially when it comes in a form other than what we expected, or it comes later where patience is called for. The answer is given immediately, but we are not always ready to receive it. The point is, we are asked to look for evidence of His Love and His Word (His Promise) constantly, and we can trust Him to always have an answer for us. He wants us to come to trust Him so we will not delay our return to our Self. He waits with open arms for us to turn toward Him. "This is the faith that will endure, and take me farther and still farther on the road that leads to Him." (W.327.1.4) We will not fear our return when we know His Love awaits us. We must be willing to let go of all littleness. We garner trust when we see our brothers on the path, glowing with the light of His Love. It is truly beautiful to witness changes in those around us who reflect His gifts as they are given and received. Their gifts and their progress are mine as well because we are One. Sharing our experiences is how we encourage each other in testing out the truth of God's promises. It is not about trying to have belief, but about actually experiencing the results of our trust in the Divine Spirit within each of us. When I started with the Course, my obstacle to embracing it, immediately, was the Christian language. I was motivated to give it a try because of the way it came into my life through a friend for whom I had great respect. Dr. Willis Harmon, then the CEO of the Stanford Research Institute, brought the Course into my life. It was my trust in his recommendation that got me started on this learning path in my early days of study. At that time, I had no belief and faith in God and a lot of resistance to any religious teaching. However, by applying the Lessons to my life, I started to see amazing changes despite limited understanding since I had not yet read the Text. I started to trust more and more that something was working in my mind that was not of me, nor of my limited thinking, and through this, my faith grew. Interestingly enough, Jesus says, "Yet back of all our doubts, past all our fears, there still is certainty." 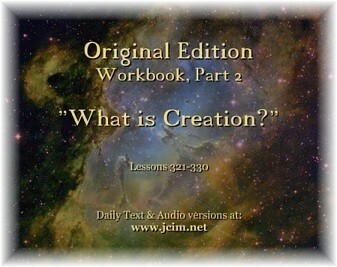 (W.P.II.Q11.What is Creation?4.3) "For love remains with all its Thoughts, its sureness being theirs. God's memory is in our holy minds, which know their oneness and their unity with their Creator." (W.P.II.Q11.4.4-5) While our physical experience in the body seems so real, and our doubts and fears seem to us to be what life is about, behind all of this and deep within our minds, the certainty exists for all of us. We recognize more and more how lost and split off we have felt and how much we have been lacking in the awareness that there is another way of seeing. Jesus assures us that conviction comes through testing out God ' s promises to us. "Father, I thank You that Your promises will never fail in my experience, if I but test them out. Let me attempt therefore to try them, and to judge them not. Your Word is one with You. You give the means whereby conviction comes, and surety of Your abiding Love is gained at last." (W.327.2.1-4) Amen. We are encouraged by Jesus to keep testing out His promises, so we can know that we have not been abandoned and are truly loved. He is there to give us the help that we need, so we are encouraged to ask in everything and follow the guidance. Remember, when we ask for things of the ego, we ask for nothing but more pain. Ask instead for what is in line with God's Will for us-‑- healing, happiness, guidance, release from guilt, and to see a situation differently. It is all about the prayer of the heart to open to our divine, holy minds more fully. It is to ask with desire and wait for the answer with confidence. It may not come in the form we expect nor in the timeline we set, but it will come.